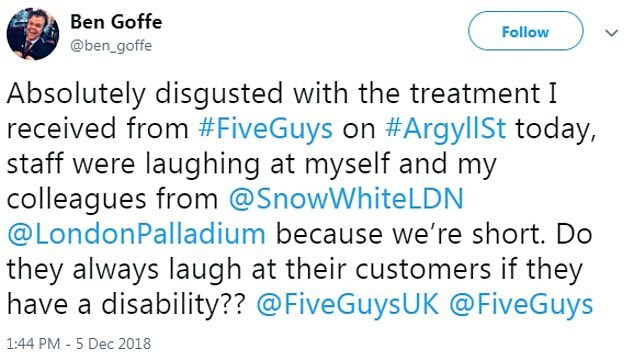 Five Guys has apologised to two of the seven pantomime dwarves in Snow White after staff at a branch allegedly mocked them about their height. 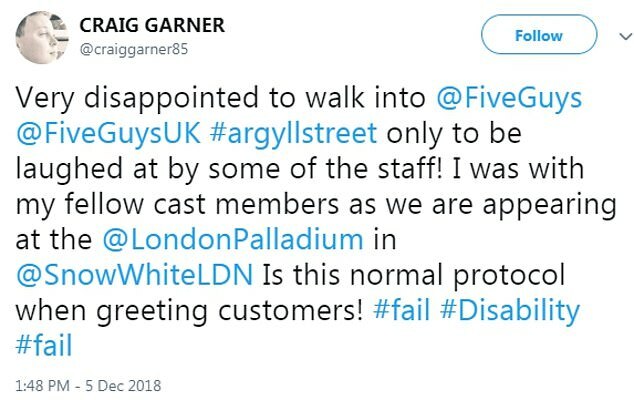 Ben Goffe and Craig Garner had gone into a branch of the burger chain in London's West End in between rehearsals for the show at the Palladium. 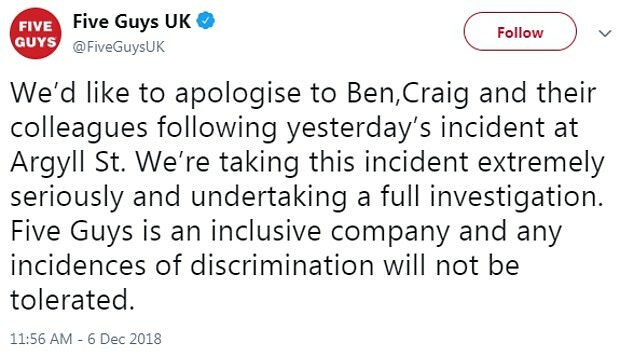 But they were left upset on Wednesday by staff at the outlet who apparently started laughing at them, and disability campaigners have since blasted the chain. 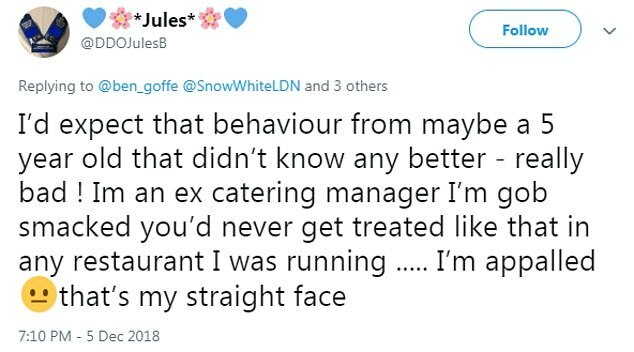 Goffe, 28, who played a moving portrait in Harry Potter and the Prisoner of Azkaban, tweeted: Absolutely disgusted with treatment I received from Five Guys. 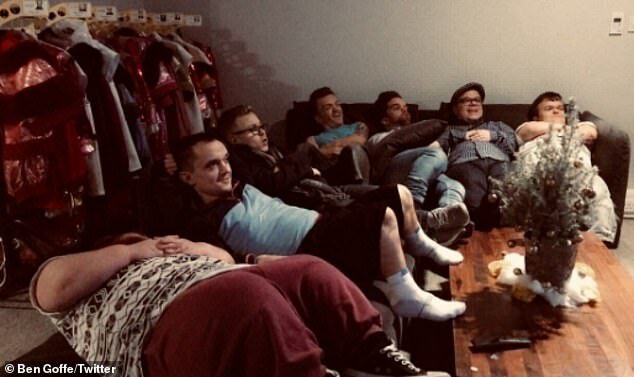 Craig, 33, who was in two Potter films as Daniel Radcliffe's double, added: 'Very disappointed to walk into Five Guys, only to be laughed at by some of the staff. 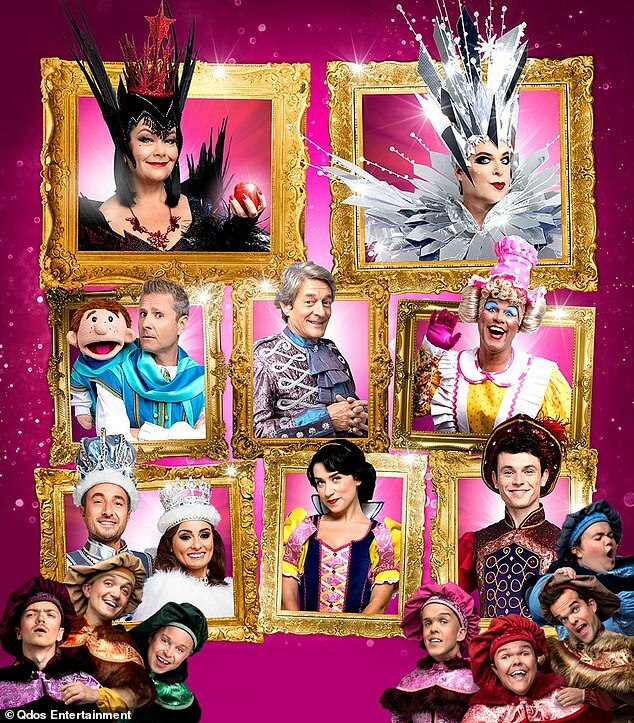 It came ahead of the stage production, which stars Dawn French as The Wicked Queen and Julian Clary as The Man in The Mirror, opening tomorrow night. Phil Talbot, from disability equality charity Scope, told MailOnline: 'Fast food should never come with a side order of bad and outdated attitudes towards disabled people. 'The terrible treatment of these actors is proof that we quickly need to step up efforts to combat bad attitudes. Negative attitudes and misperceptions can hold disabled people back in life, everywhere from work to shopping on the high street. 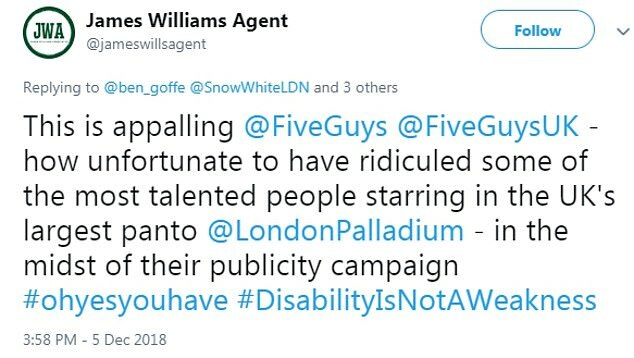 Social media users also hit out at their treatment, including theatrical agent James Williams, who tweeted: 'This is appalling, Five Guys. 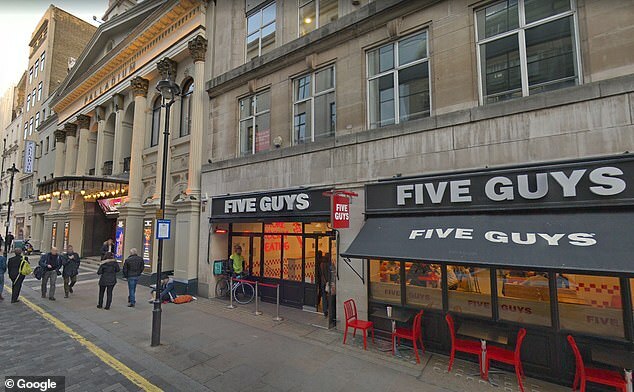 A Five Guys spokesman tweeted yesterday: 'We'd like to apologise to Ben,Craig and their colleagues following (Wednesday's) incident at Argyll Street.